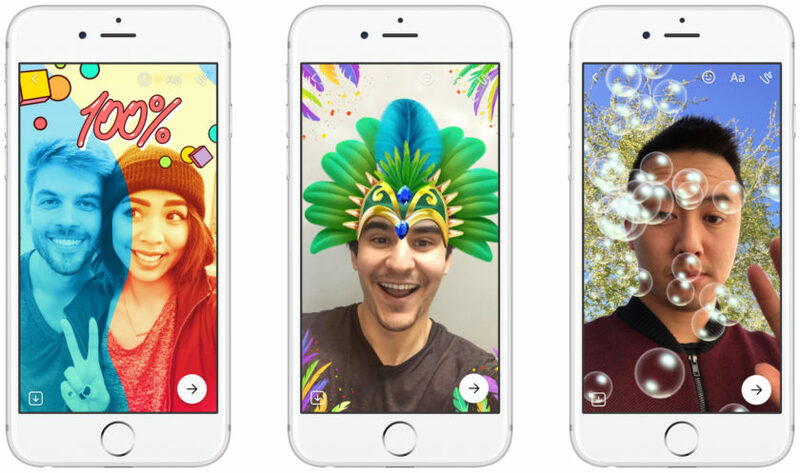 Facebook’s attempts to copy Snapchat is taking center stage yet again as its Messenger Day rolls out globally. Initially, we saw a glimpse of the platform being tested in Poland last year in September. Now, the social media giant is rolling it out to all iOS and Android users around the globe. The feature is to be launched within the company”s Messenger app and will allow users to post updates which will eventually disappear after 24 hours. 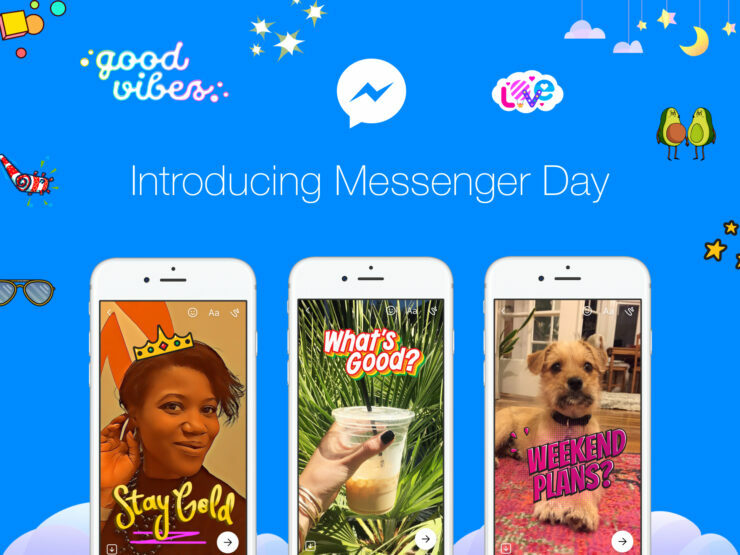 Lets dive in to see some more details on Messenger Day and how it differs from Snapchat. 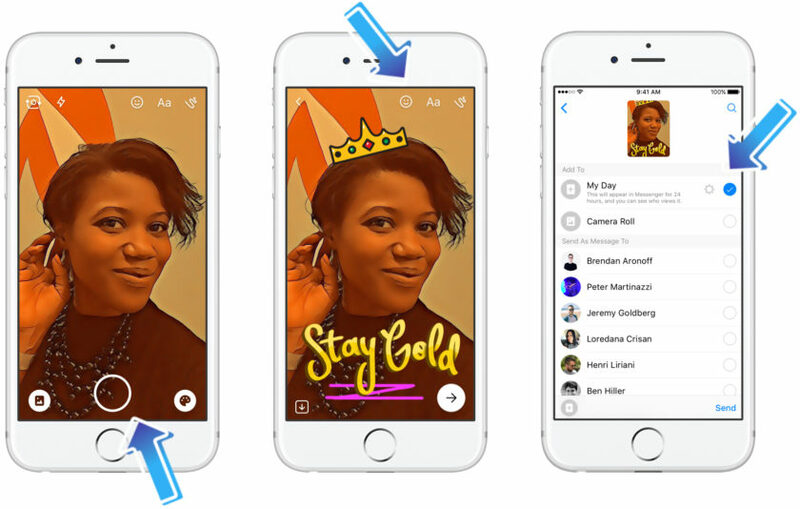 While Facebook has been blatantly implementing Snapchat features in its numerous platforms including Instagram Stories, Messenger Day comes with a twist. According to the company, Messenger Day’s filters and other features allows users to make new plans in the moment. This is a different approach compared to the one we are used to in Snapchat in which a user revisits things that their friends have done. This takes Messenger Day a step ahead. Apart from this, the app also contains a handful of filter for both photos and videos with appropriate context. The basic premise is to make use of the app’s built-in camera and take photos and record videos, add text over it or doodle to give them a perspective. In addition to this, you also have the ability to add cartoon overlays, facial filters and much more. Once you’re done, you can then add it to the digital collection called “Day”. This is something that your friends can see and will be removed within the next 24 hours of posting. Much like Instagram Stories, Messenger Day rests atop the Messenger app, showing the days of your friends. Days are represented in a horizontal row of icons that plays one after another when a person views it. Users also have the ability to interact with specific posts by sending a message to the poster. The “Active Now” indicator allows users to see who is online and available. Facebook has now expanded its reach to copy its rival Snapchat. Messenger Day, Instagram Stories and WhatsApp Status – all share somewhat similar characteristics and all of them narrows down to Snapchat. In addition to this, Facebook Stories is yet to be launched as well, marking an overall dispersion of the feature. This is it for now, folks. What are your thoughts on Messenger Day? Do you think Facebook is doing right copying Snapchat-like features in all of its platforms? Share your thoughts in the comments.